I love this picture of Travis. I think hanging from a tree is such a boy thing. I found the perfect word art for this page at Elegant Word Art by Bethany. 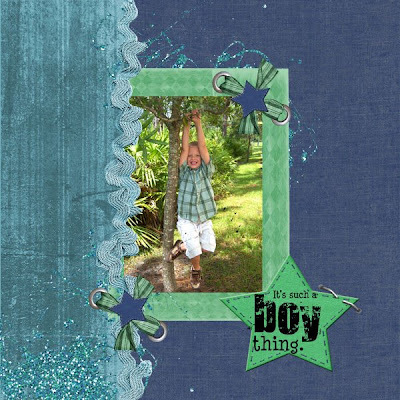 I used Adventurous Ty by Steel City Scraps.